I know they are very similar since they all have a bold color as the main focus, but I think each have a different vibe. 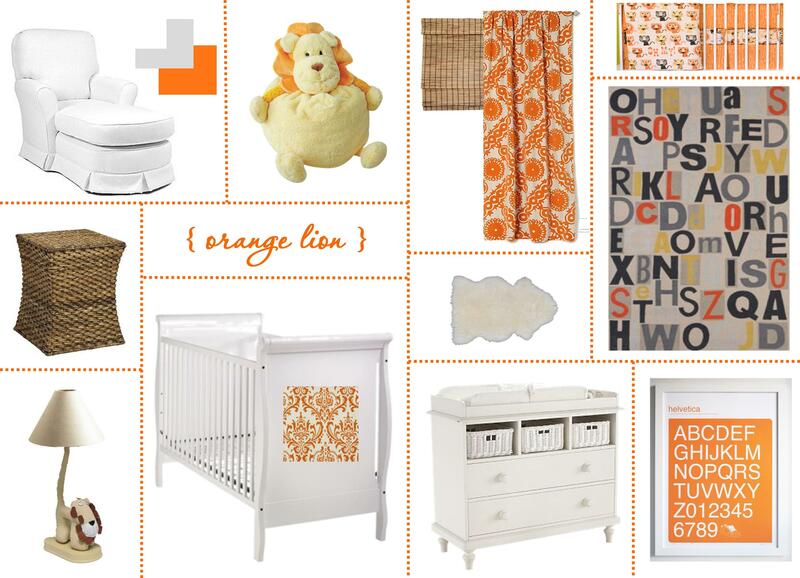 Being just two weeks away from my third trimester I think it's about time to choose a color scheme and put us to work. And since we are so indecisive we ask you to please help us with your opinion. Great options. My favorite is the Jiraffe room. Oh la la! 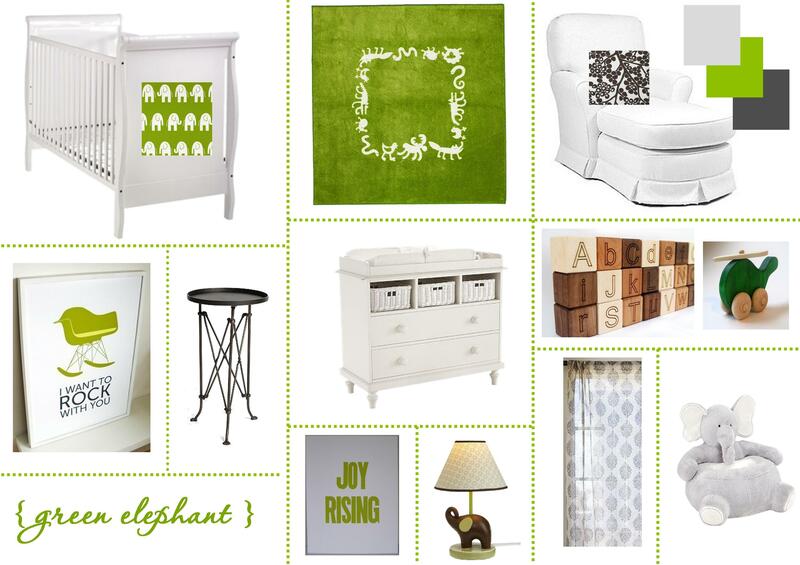 I love the Jonathan Adler designs. These are gorgeous... which one did you end up choosing ?? and can you please tell me how you did the coloured dotted lines for each board ?? Natalie thanks for stopping by my blog. 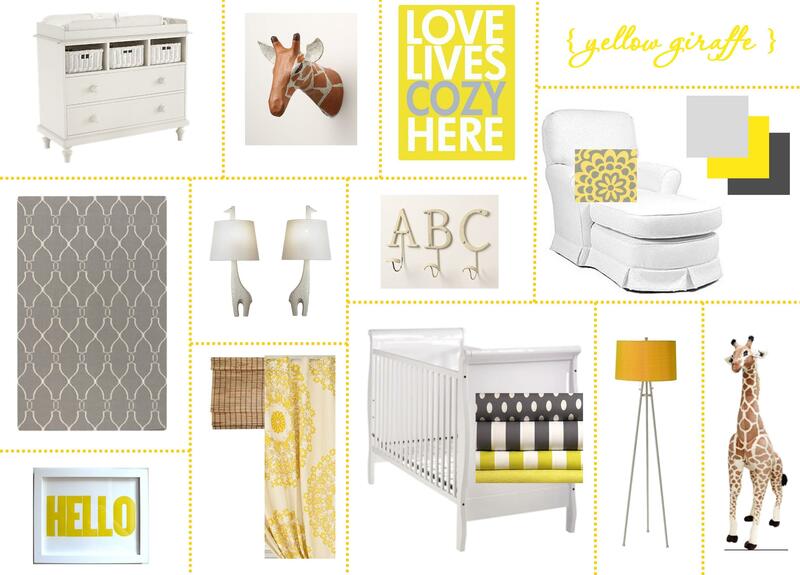 We chose the Yellow Giraffe theme. I'll post pictures soon. I do all my mood boards in Microsot Publisher. I know there are a lot of sites, like Polyvore, etc, to put together boards, but I'm a little old school. I feel MP lets me do more things, like the lines or add other graphichs besides pictures. What do you use to do your boards?